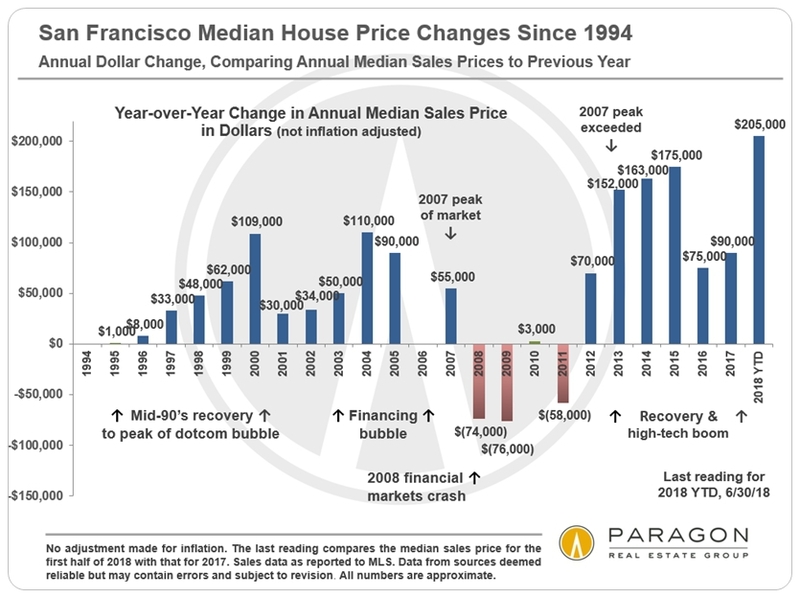 The median single-family home in San Francisco has jumped $205,000 in price – or $561 a day, every day – from the first half to 2017 to the first half of 2018, making it one of the hottest markets ever, according to a midyear market study from Paragon Real Estate Group. The median single-family home in San Francisco sold for more than $1.6 million and also passed the $1,000 per square foot mark – 10 percent higher than it was last year. The market for condominiums in the northern California peninsula city is much quieter but still growing, jumping $71,000 so far this year, lower than the period from 2012-16, the four years following the economic crash and housing market recovery. The median home in San Francisco is selling for more than 15 percent above asking price in May and has been on the market for less than 25 days throughout the spring. San Francisco is seeing a boom in building, according to the report, with most of the construction activity coming in the multi-family or condominium sector. 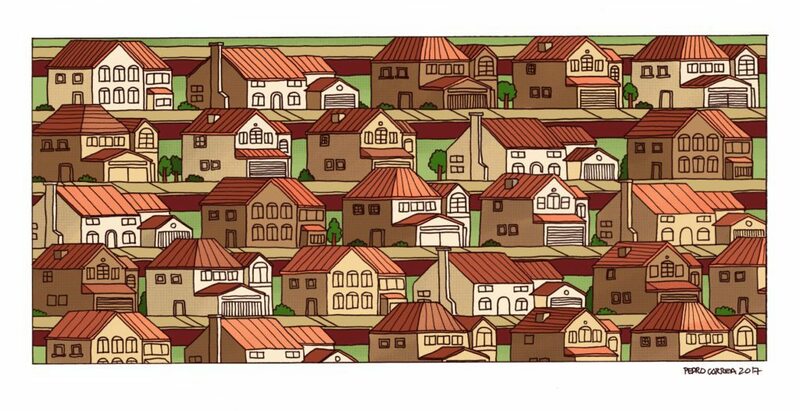 What's it like to win a housing lottery in the nation's most expensive city?